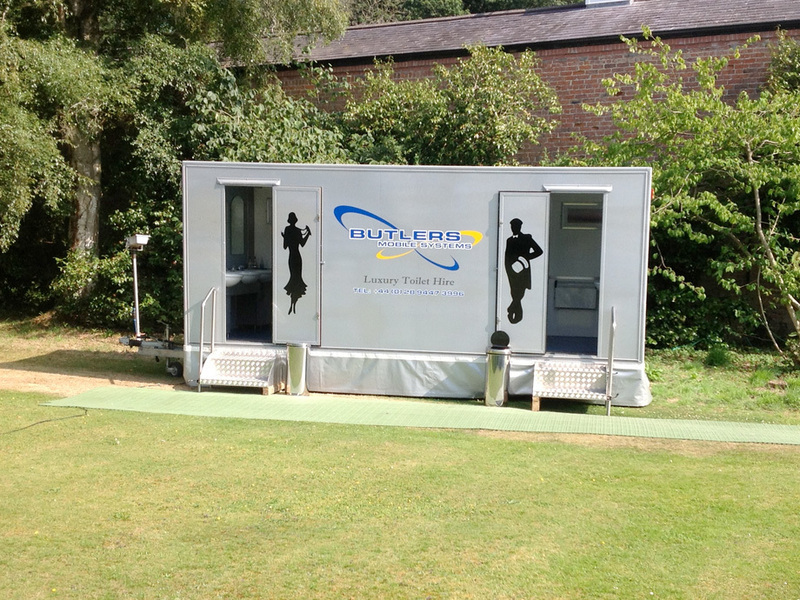 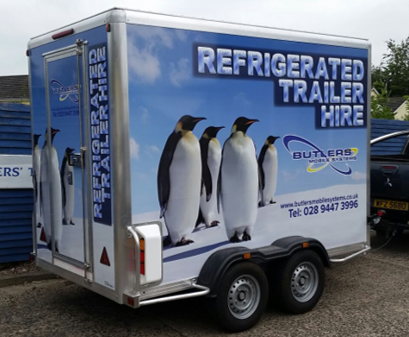 Butlers offer an extensive range of hire trailers for outdoor events. 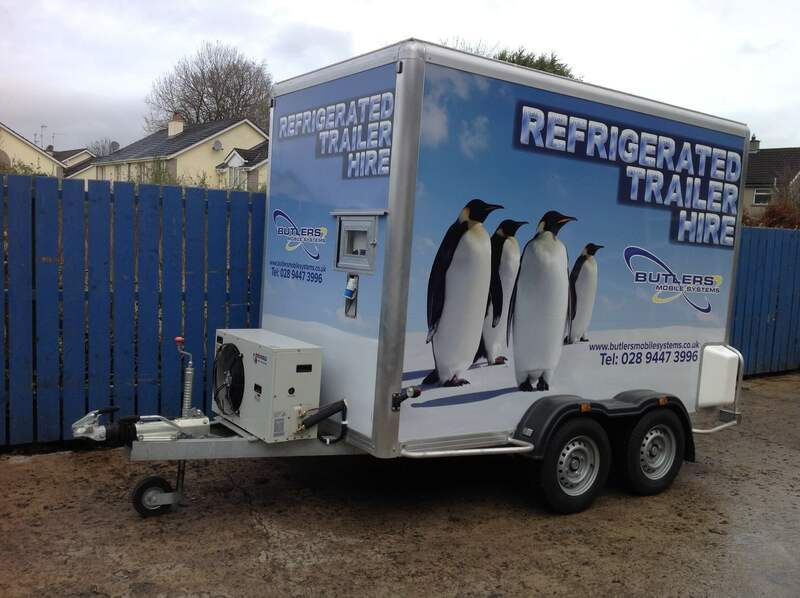 We supply all aspects of hire trailers to events - small to large throughout Ireland. 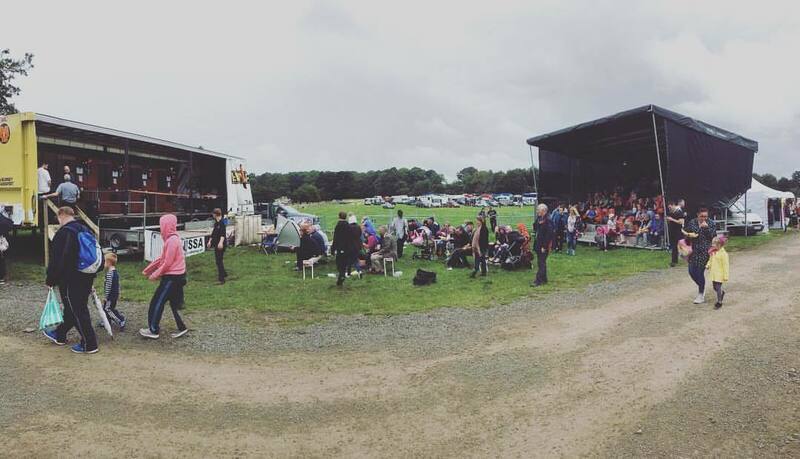 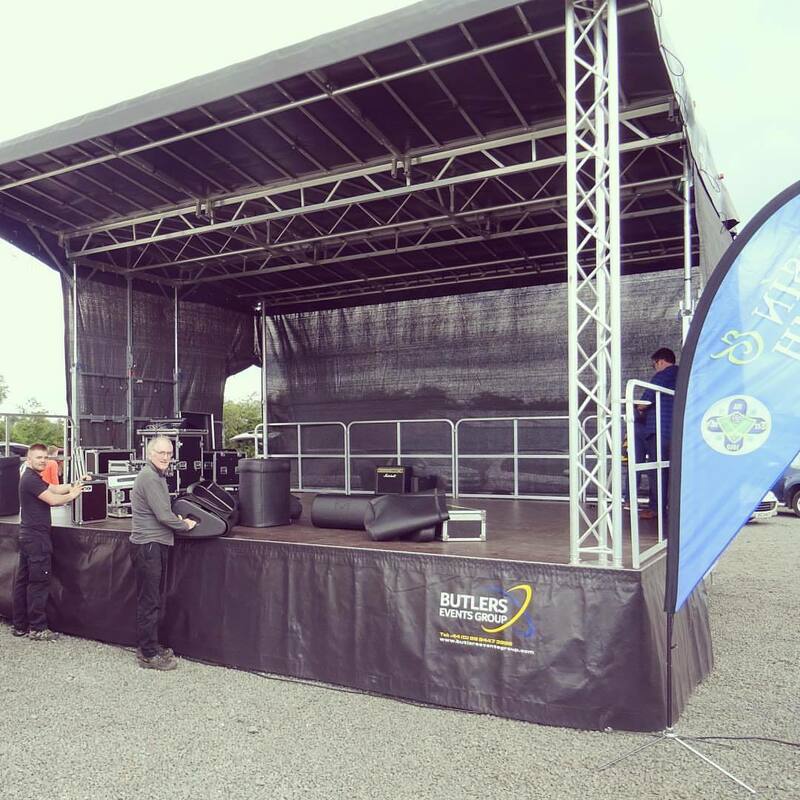 Included within our range for hire is staging, a 122 seated grandstand and marquees. 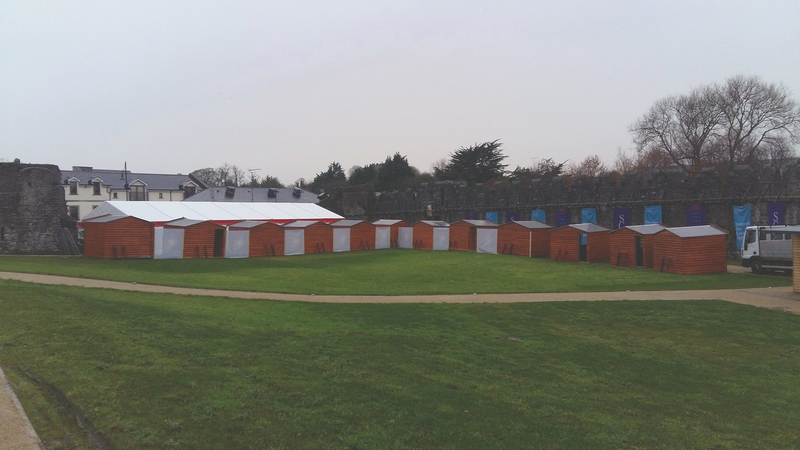 Our marquees are very popular for weddings, parties, corporate events, agricultural shows, sporting events and much more. 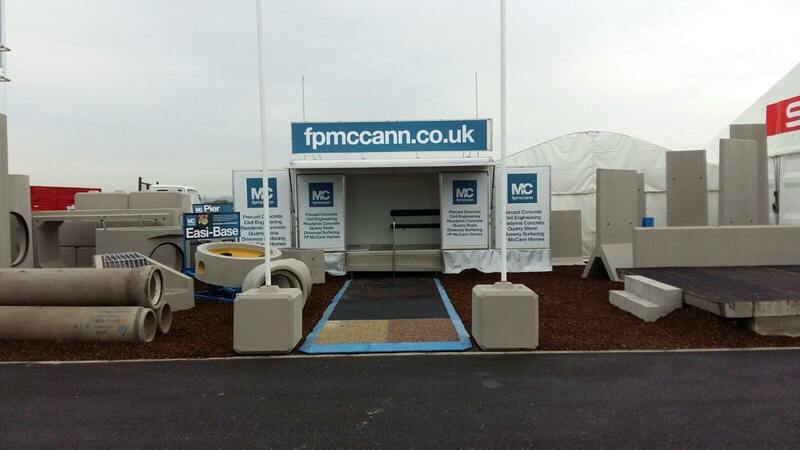 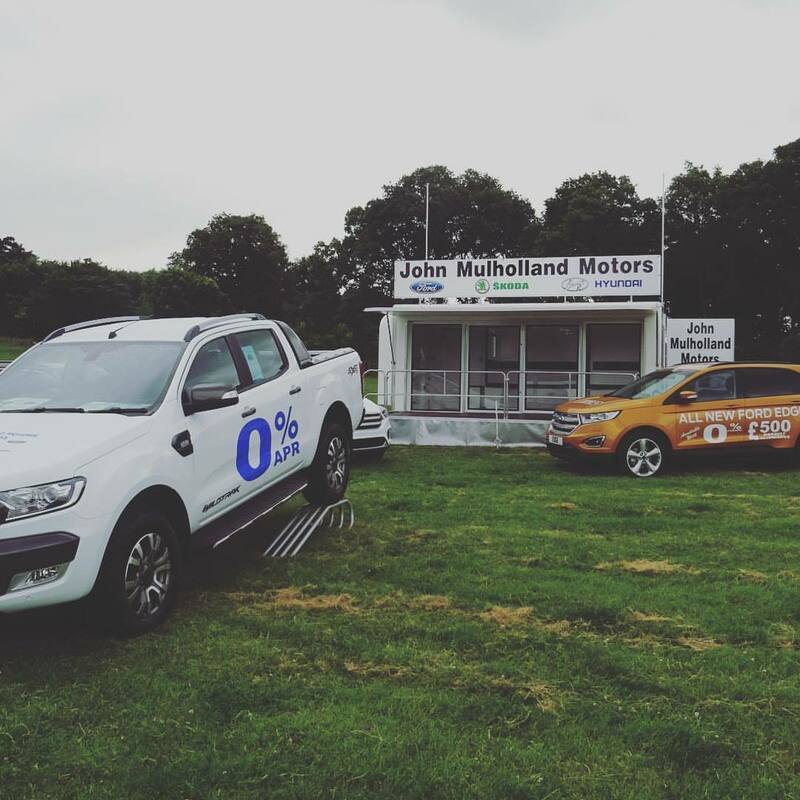 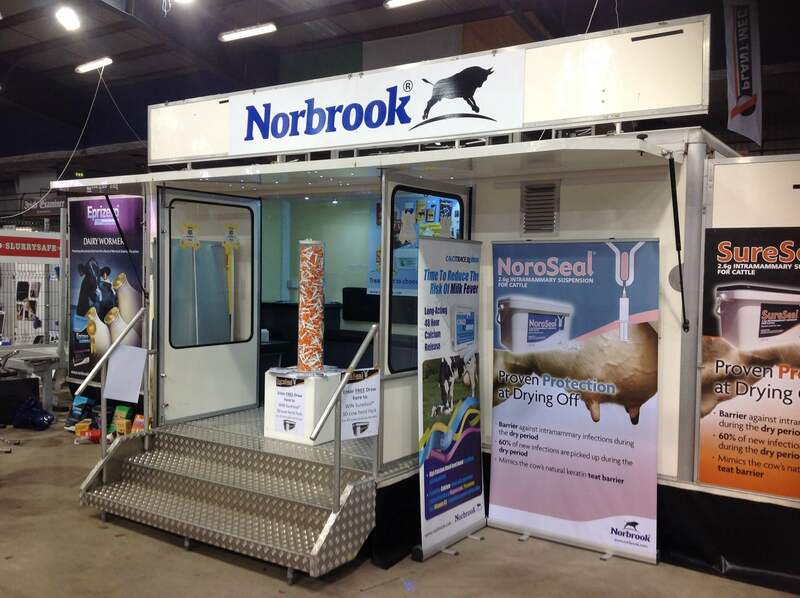 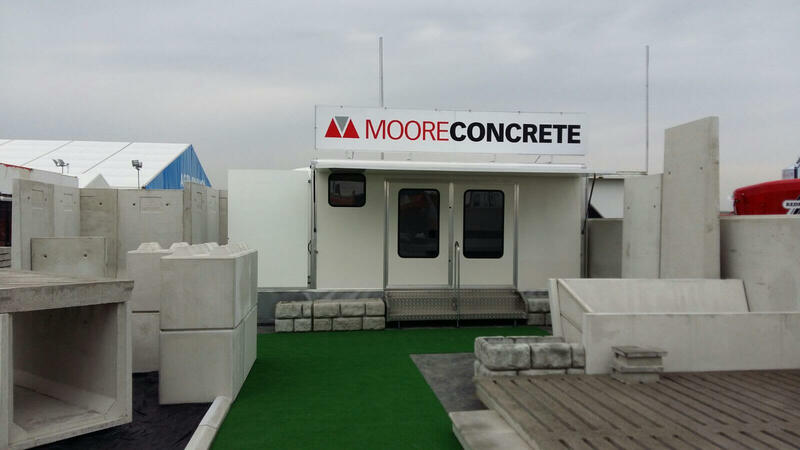 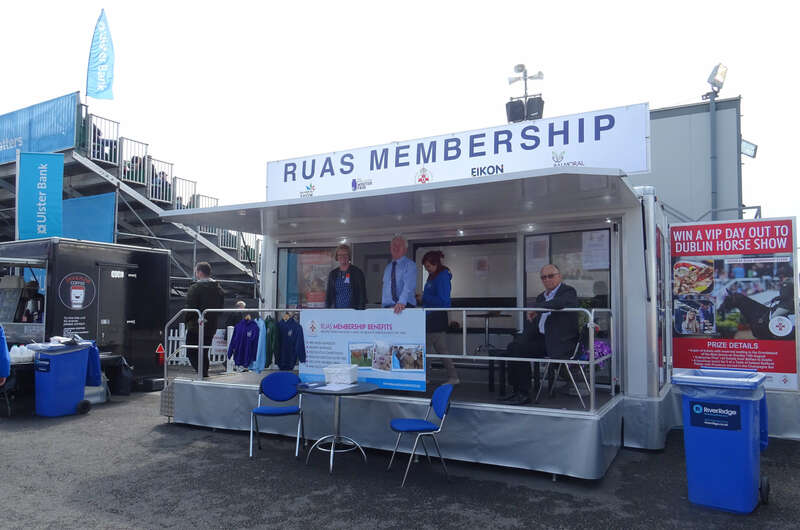 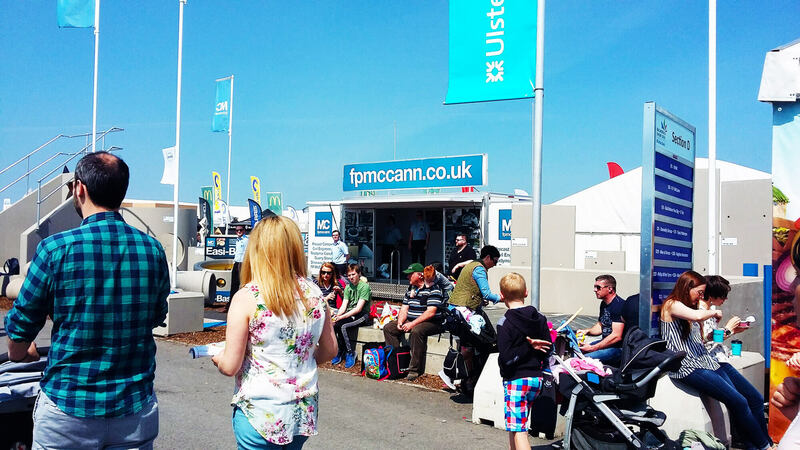 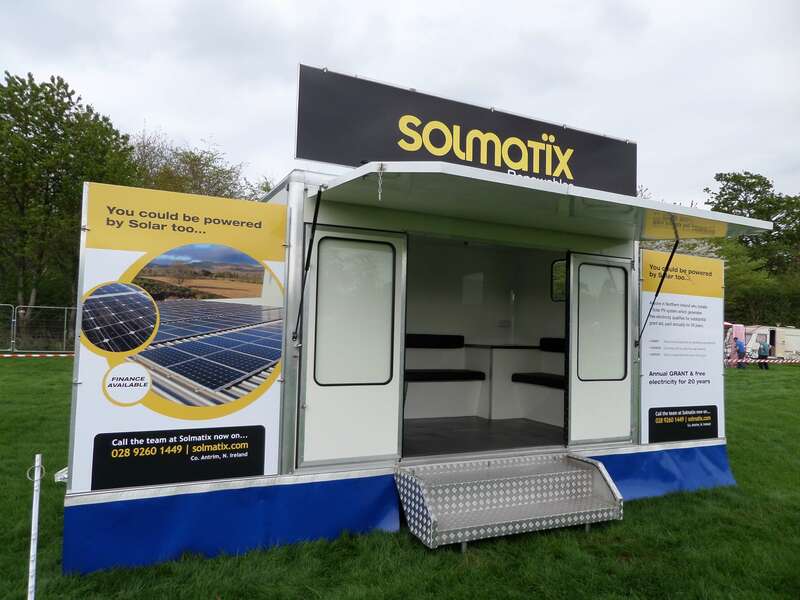 Trailer management is an important part of our service and is very popular with company's who simply want to arrive at an event and know that there will be a trailer ready and waiting for them to start trading or exhibiting. 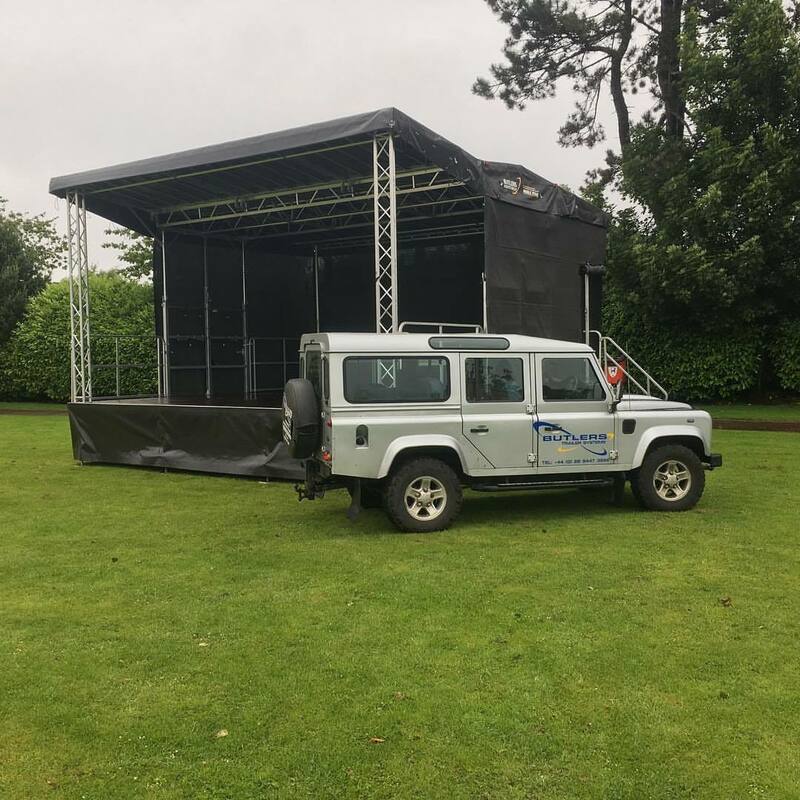 The grandstand trailer is available for hire for all outdoor events e.g Agricultural Shows, Concerts, Open Air Events etc. 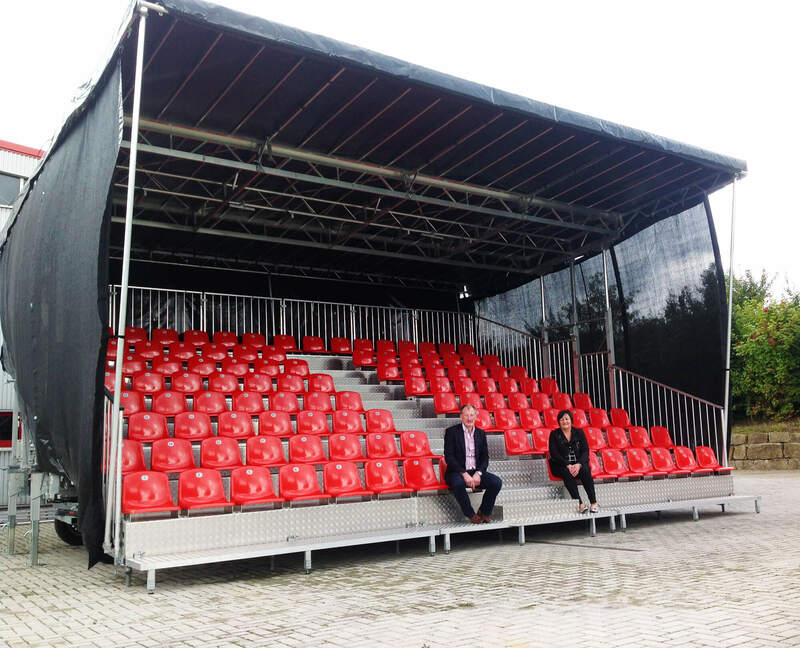 Seating up to 122 event-goers, all protected from the elements providing under cover comfort. 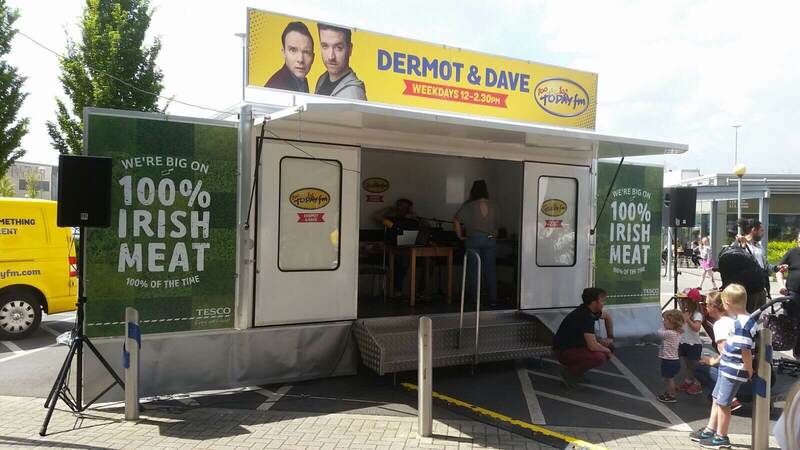 This takes approximately 40 minutes to install. 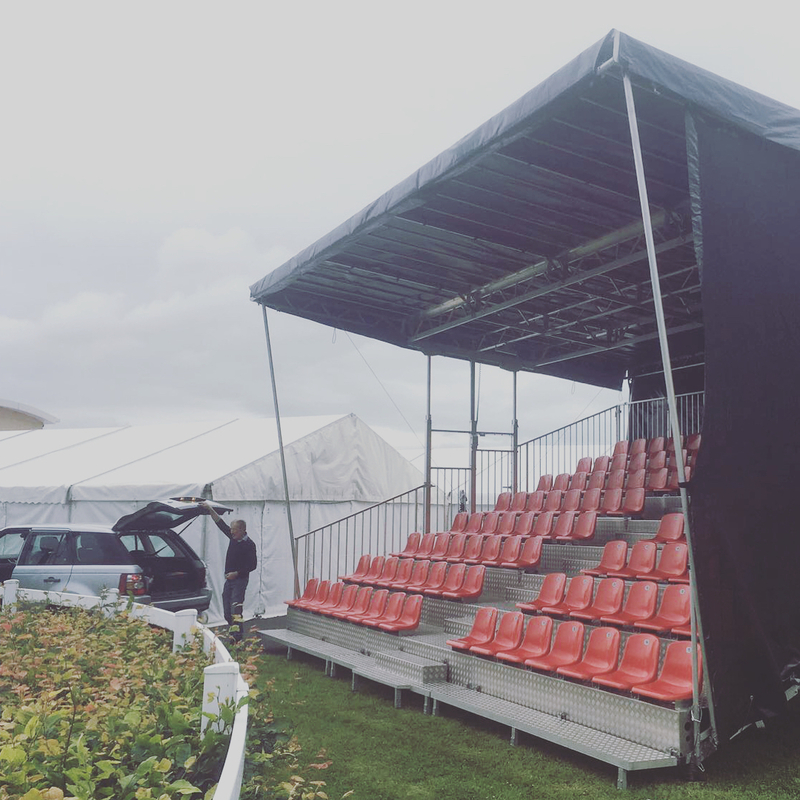 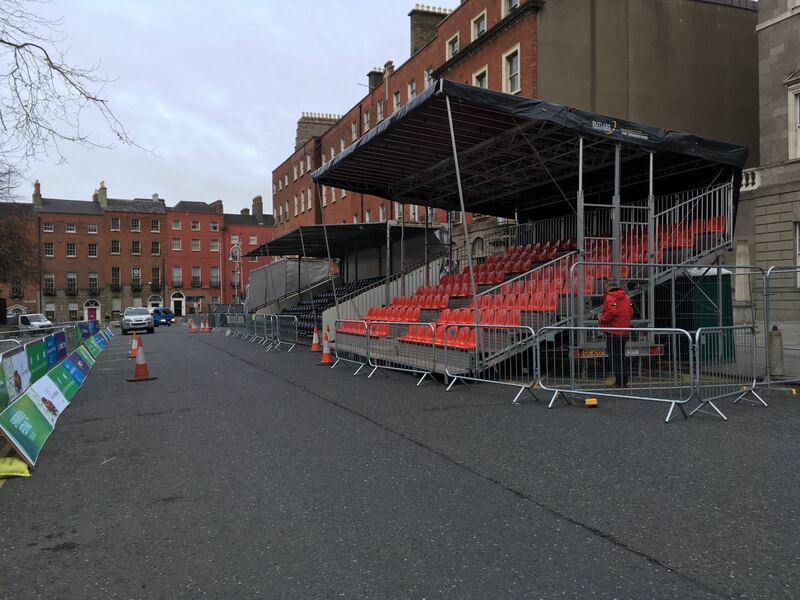 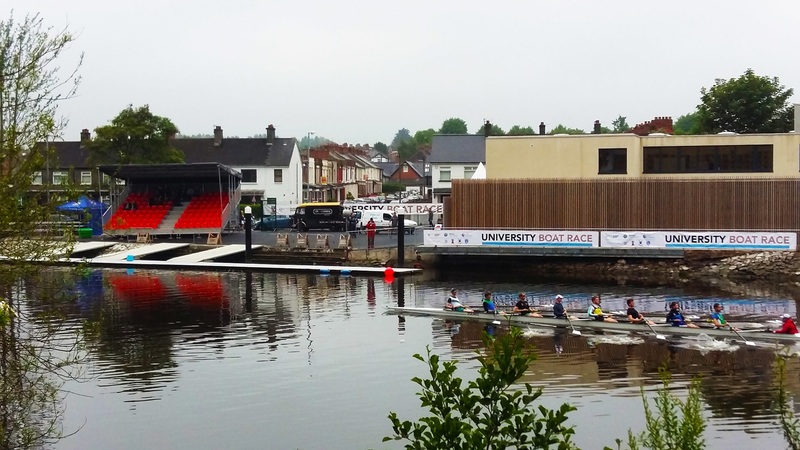 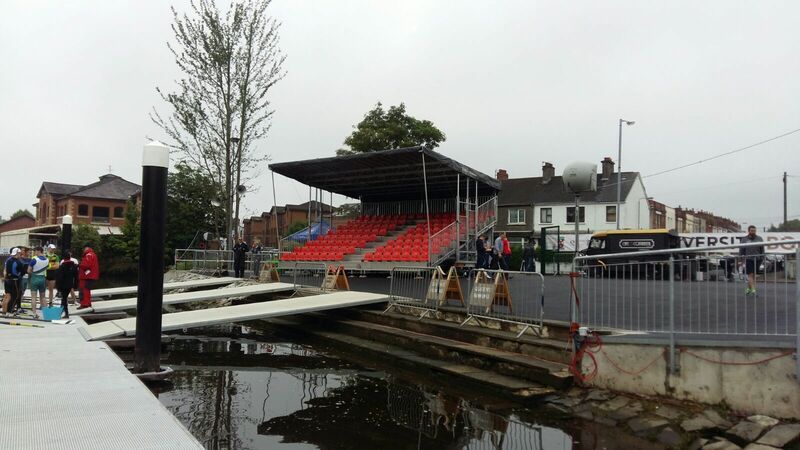 Whatever your event is, a portable grandstand creates a focal point for seating your audience, members, sponsors or guests in comfort and protected from the weather. 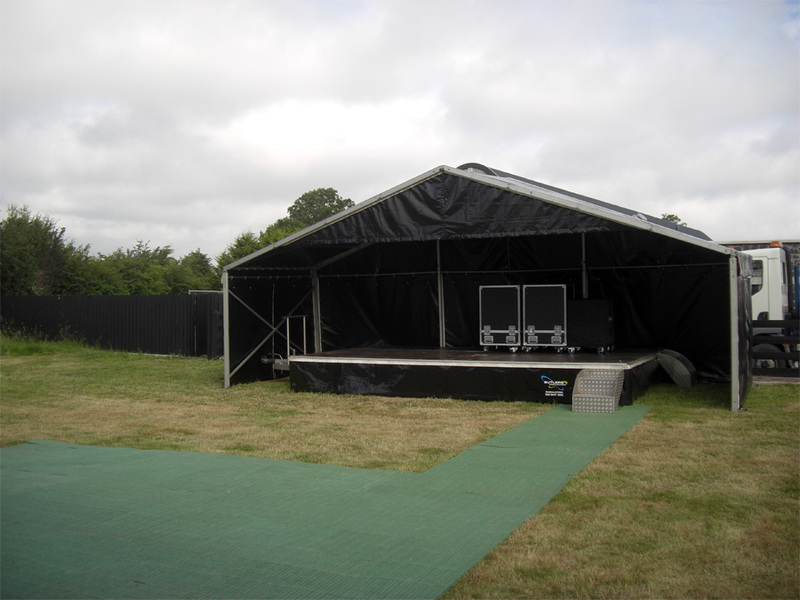 Our mobile stage is provided with a covered roof and sides and will be delivered and installed to your event location. 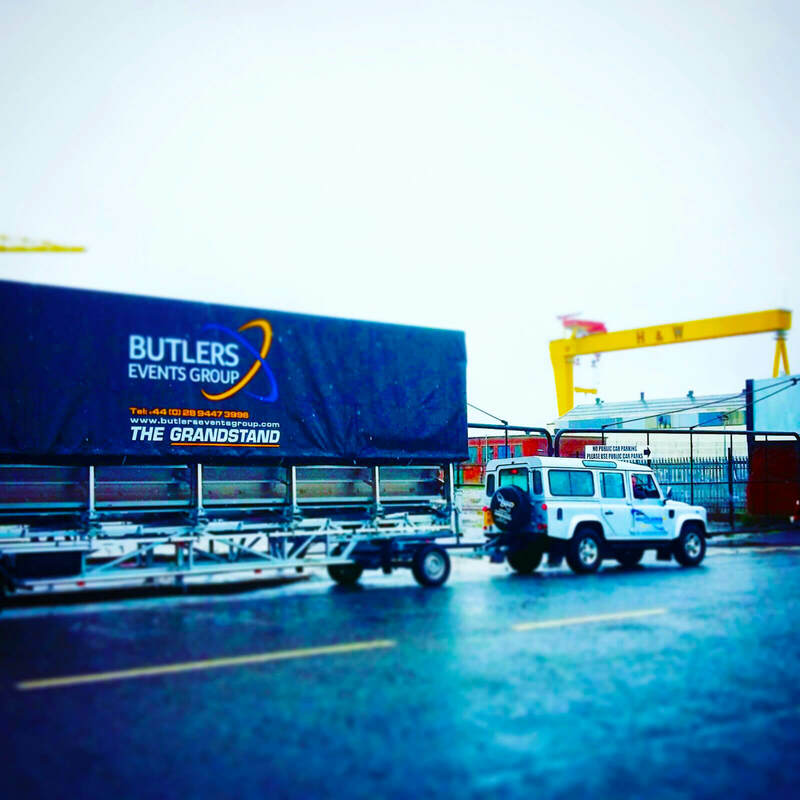 We can erect the mobile stage in approximately 30 minutes. 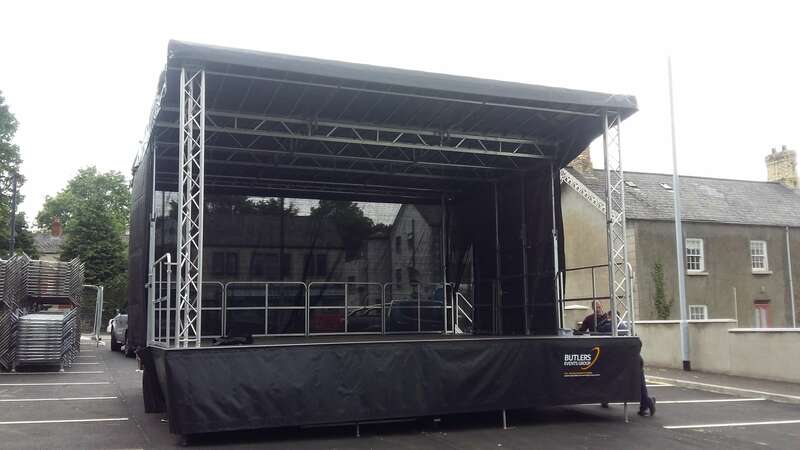 This well designed stage can be set up with an stage area of 30m² or 42m² ensuring you have the right space for your requirements. 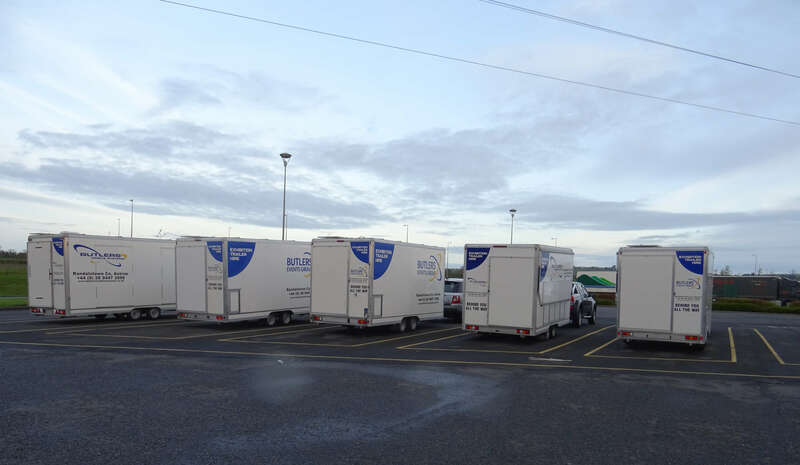 The refrigeration trailers can be used as back up fridges for food manufacturers, supermarkets, pubs, refurbishments, outside catering supplies and extra storage. 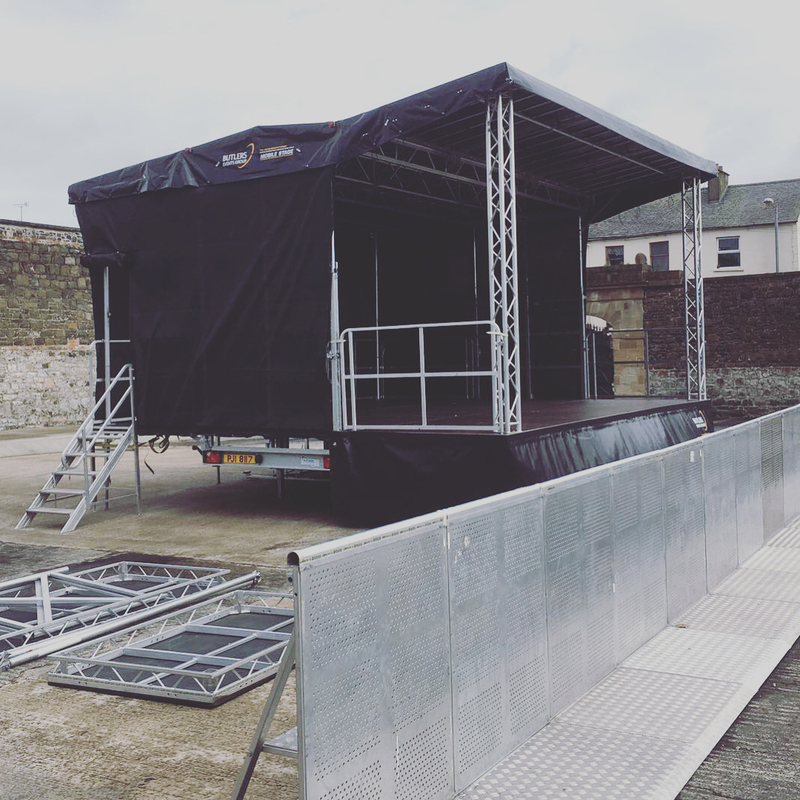 Our fully equipped mobile kitchen is available for hire and is perfect for outside caterers or when restaurants are getting refurbished. 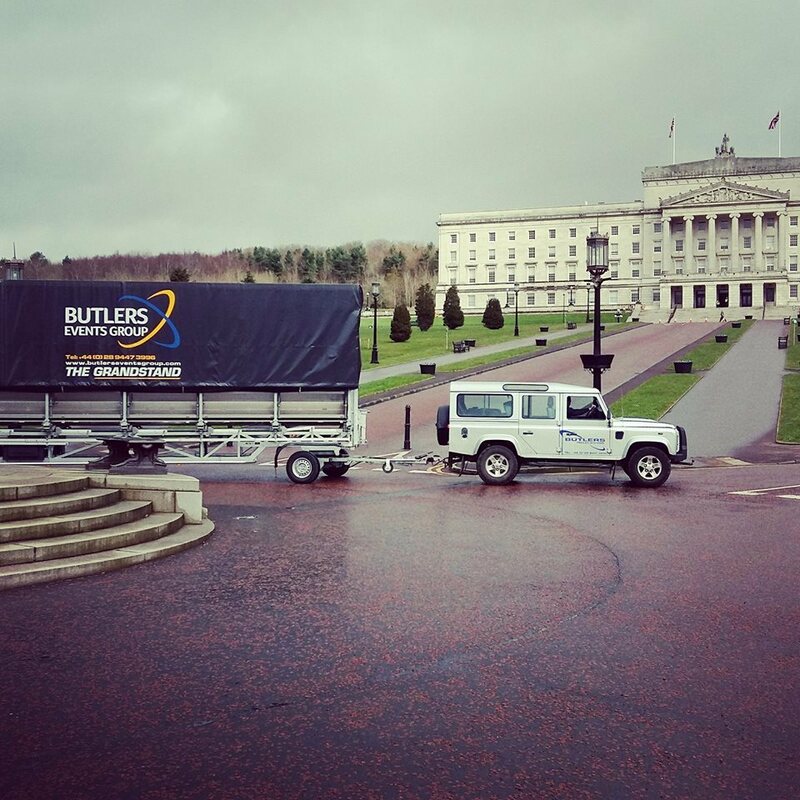 We can deliver to your event location and collect when finished. 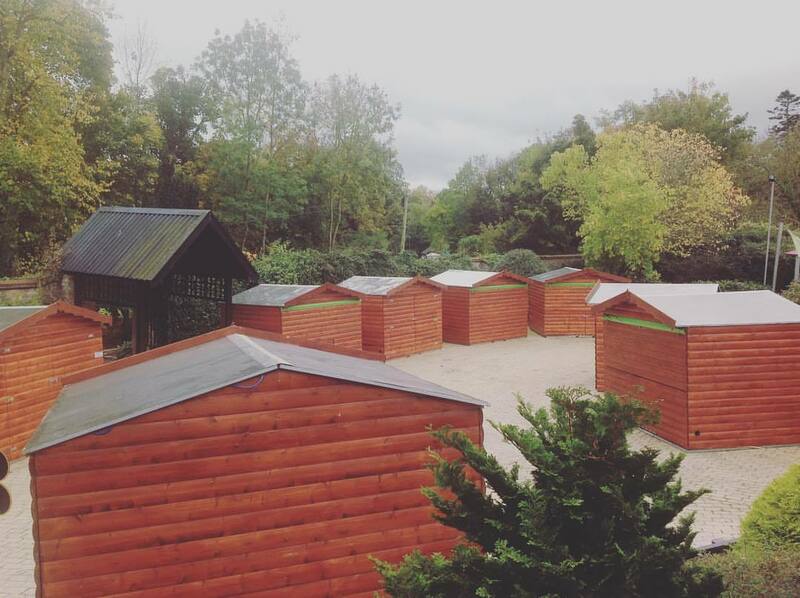 We also have log cabins available for hire, which are ideal for trade stands, ticket offices, christmas markets, country fairs, shopping outlets and more. 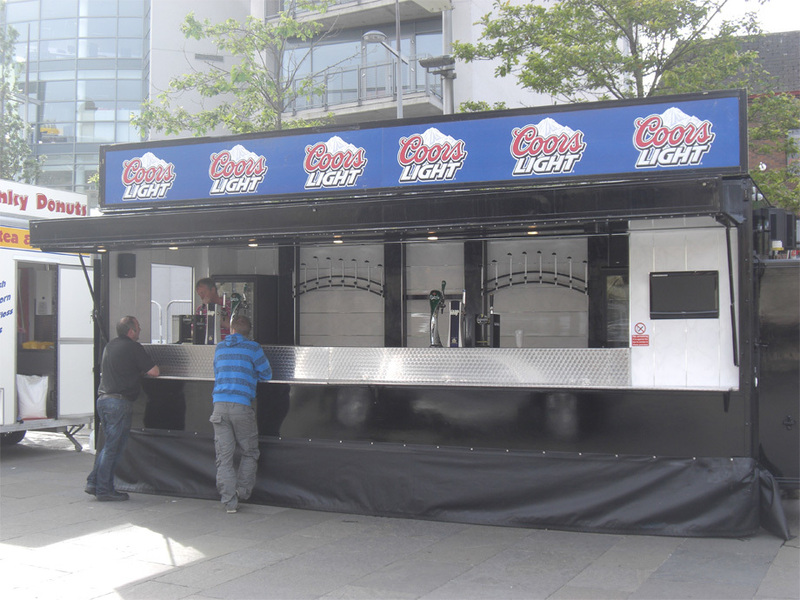 There is two styles available, standard lift up canopy or full opening front. 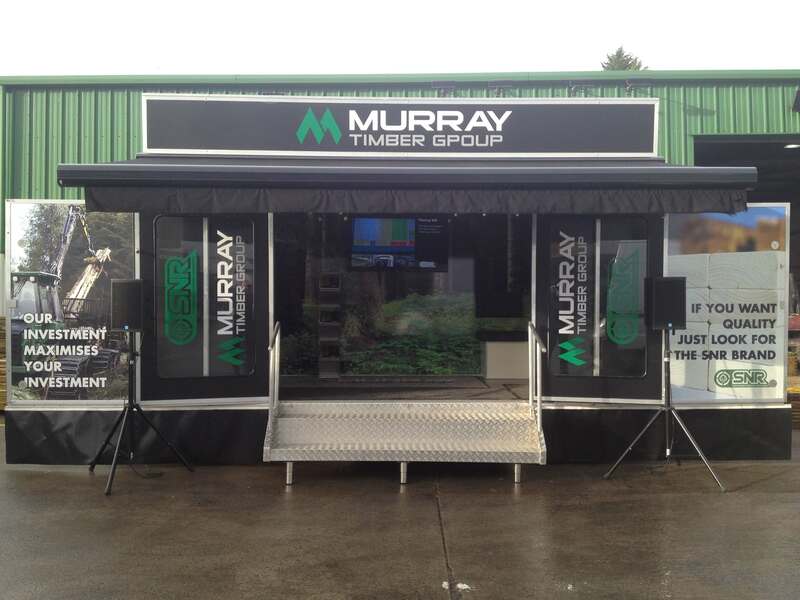 The log cabin dimensions are 3m X 2.5m and there is a minimum hire of 6 cabins.